I think the Hamilton grade with the longest production run is the 21 jewel 992 movement. 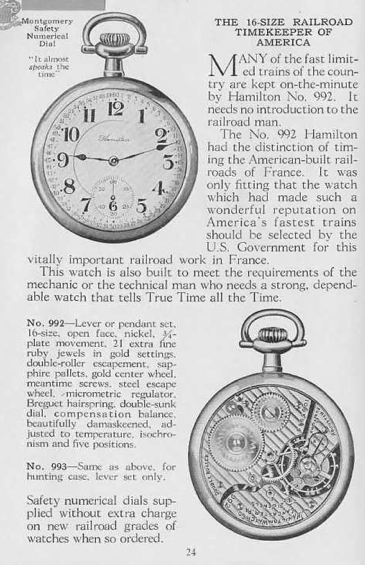 This railroad-approved pocket watch movement was a favorite or railroad me due to it's smaller 16 size (smaller than 18 size anyway) and it's Hamilton-quality. The 992 was in production from 1903 through 1931. 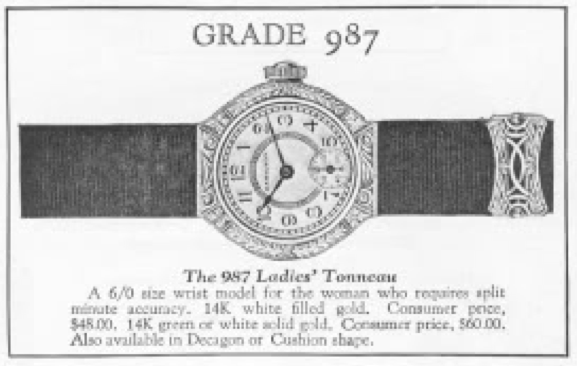 In 1932 the 992 was outfitted with the "new" Elinvar hairspring and the movement called the 992E or 992 Elinvar. The 992E was produced until 1940, when the 992B was introduced. The 992B is a long production run movement too - it was made until the end of US production in 1969. The 992 is a great movement. It came lever set or pendant set, although lever-set was required for railroad service. The train jewels are all set in solid gold chatons. The center wheel is also solid gold. The movements are highly decorated with complex damascening. The 992 is an open-faced movement and it has a sibling for hunter cases called the 993. But only open faced cases were railroad approved. I recently picked up a 992 in need of some attention. It actually was in very nice shape overall but someone had glued the plastic crystal on with crazy glue and done a lousy job doing so - it had glue all over the crystal and inside the bezel as well. The back of the case could stand a gentle polish but it's unengraved and in great shape overall. Under the back cover is a dustcover - which is also in nice shape and snaps on tightly. The movement itself is in running condition but has a haze over it that a thorough cleaning will remove. 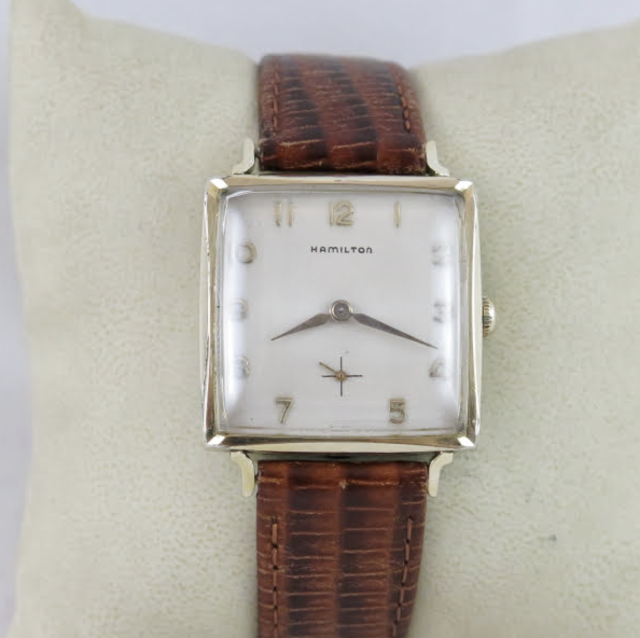 The serial number on the movement dates this to a 1920 model. Lever set movement require you to remove the bezel in order to get to the lever (by the 1) that puts the movement in the time-setting position when it's pulled out. This case's bezel is hinged so you don't fat finger it and drop it. 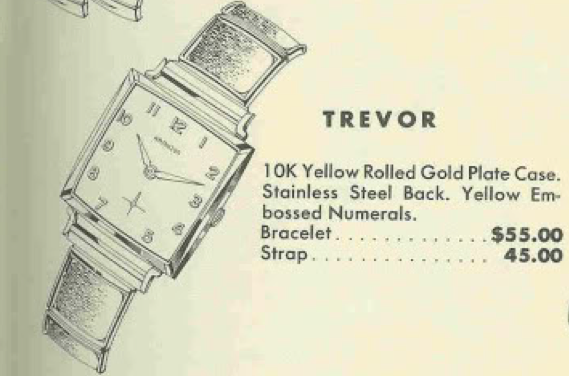 I wonder how many pocket watches have been dropped while setting the time… quite a few, I bet. Two case screws hold the movement in place. Once they're removed the movement comes out the front of the case. Now the hands can come off and, once three dial foot screws are loosened, the double-sunk dial can come off as well. Once the dial is out of the way you can see how the lever moves the clutch wheel down to engage the setting wheels. Flipping the movement over, after all the mainspring tension is released, I can remove the barrel bridge and train bridge. All of the wheels are shown below. Notice the different color of the solid gold center wheel. Once the wheels are of the way I will remove the balance assembly and the pallet fork underneath it. There are a just as many parts in a pocket watch as there are in a wrist watch - but they're way bigger. Now they're all ready to be cleaned. The mainspring has set considerably. It still has some openness to the coils but a fresh one will straighten out and coil the other direction. Re-winding these springs so they can be installed in the barrel takes a large winder - they are too large to wind using just your fingertips. They really pack a wallop if you accidentally let it loose. Well, everything gets cleaned, dried and reassembled with fresh lubrication. It's always gratifying to see the balance wheel start swinging vigorously when the balance is reinstalled. It's usually a good sign that everything will turn out fine. Well, there's no complaining about this timekeeping performance… perfect 18000 beats per hour, a healthy amplitude and a low beat error. Now I just need to put it back in the case. Well, here it is on it's pillow shot. There's a hairline crack on the porcelain dial between the 1 and 2 and another at about 28 seconds but that's not too bad for a 94 year old watch. Now I just need to order a new glass crystal to glue in place on the bezel. And here's the movement, all cleaned up with a satisfyingly blurred balance wheel.